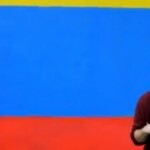 When I first decided to move back to Colombia – I had previously lived here for a year in 2011 – I knew that I would be coming back to this wonderful country regardless of whether I found a job right away. I planned to fly out and find a job when I arrived; I was that desperate to be back in a country that had so captured my imagination. One year hadn’t been enough: there was so much more to see and do and experience. Imagine my joy when I casually sent an email to JL at the Colombia Travel Blog, for whom I had worked as an intern during that first year, asking if they needed anyone to write some articles, and he responded asking if I would be interested in taking over as their new editor. This was in January of 2014. It’s now August of 2017 and I am preparing, after more than three years at the helm of this blog, to say goodbye. It’s not been an easy decision to make by any stretch of the imagination: I have dedicated a reasonable percentage of my life to running this blog; poured my passion for Colombia into every article, photograph, and social media post. And I have to thank the blog itself and all of our fantastic readers: it has been your thirst for information about Colombia, your passion for this country, which has kept me travelling and has spurred me on to try and discover as much of the place as I possibly can. I’m leaving the blog with a heavy heart. When I returned to Colombia I wrote an article about why I was so excited to be back. In it I wrote that there were so many places I still wanted to explore – I talked about Cali, San Gil, Jardin, and several more places that I was keen to visit. Over three years later and I have surpassed my expectations and then some! Guainia, Guaviare, Caqueta, Putumayo, Vichada, and so many more departments have grabbed my attention, captured my heart. I have visited 31 of this remarkably diverse country’s 32 regions, and that final one (Vaupes, since you ask) is surely coming soon! I honestly never imagined I would have visited so much of the country, but to have had the chance to do so has been one of the great privileges of my life. And now it’s time for a new adventure: I don’t know what it will be, but it definitely involves Colombia still (you can’t get rid of me that easily!). I plan to take some time to explore more of the country at my own pace, watching birds (still a couple of hundred species to go before the dream 1000), discovering more off-the-beaten-track wonders, and researching some ideas I have for books about travelling here. It says something about how strongly Colombia has captured my imagination that all I want to do is keep exploring it, in spite having travelled the length and breadth of it more times than I care to remember. 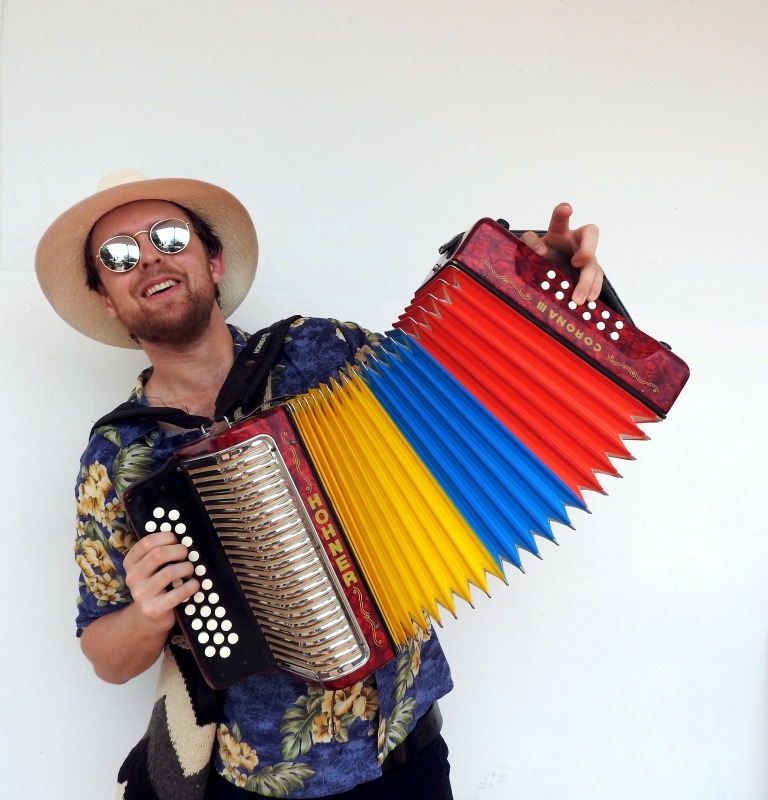 I just can’t imagine seeing a new species of bird anywhere but Colombia; can’t imagine not ordering a tinto from a roadside stall, or a cold Poker in a little tienda, vallenato blaring from a battered old jukebox. It makes me very happy to know that, through this blog, I might have helped other people discover this country, and maybe fall in love too. I’ll still be writing about Colombia, it’s a bug I will never cure now! I won’t be writing in the same way; it won’t be my job as such. But you can follow my personal Facebook and Instagram pages for photos and little stories from the back of beyond. And hopefully one day I will be announcing a book on those pages, and all of the emotion and excitement I felt when I spoke to JL back in 2014 will have come fantastically full-circle. When I picked up a copy of 100 Years of Solitude at my local Waterstones when I was about 13 because I loved the title and the cover, I could never have imagined that I would be preparing to write my own book about Colombia 17 years later. Gracias, Chris….. I came back yesterday from San Jose del Guaviare. What an amazing place ! 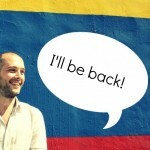 Let me know when you come back, I´m Germán, you´ll find me in http://www.platypusbogota.com…if I´m not on the road ! 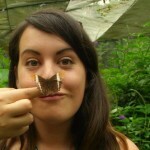 Chris: thanks to you I am just returning from Jardin, Antioquia where I was lucky enough to admire the Gallito de Roca and to take some amazing pictures of winged wildlife. 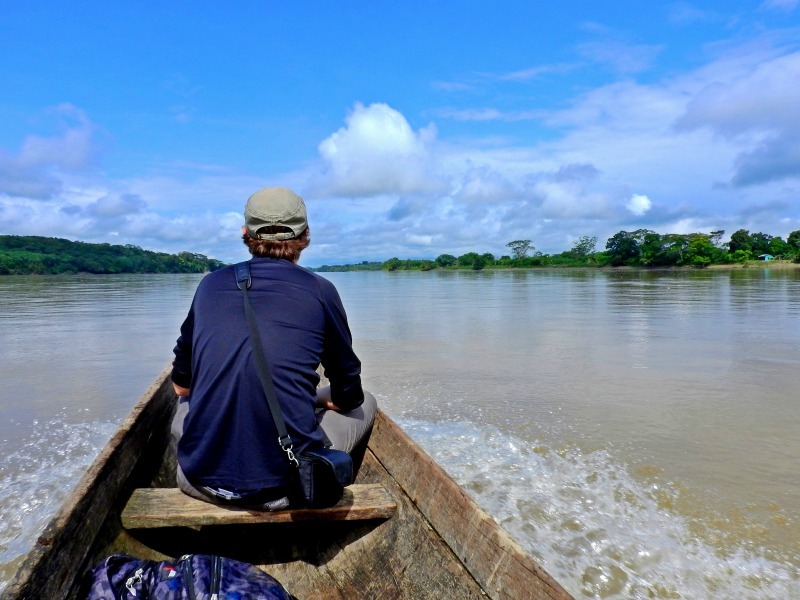 I am also planning a trip to Guaviare thanks to one of your blog entries. So, MANY thanks for all you have done to make us aware of the beauties of this wonderful place called Colombia. 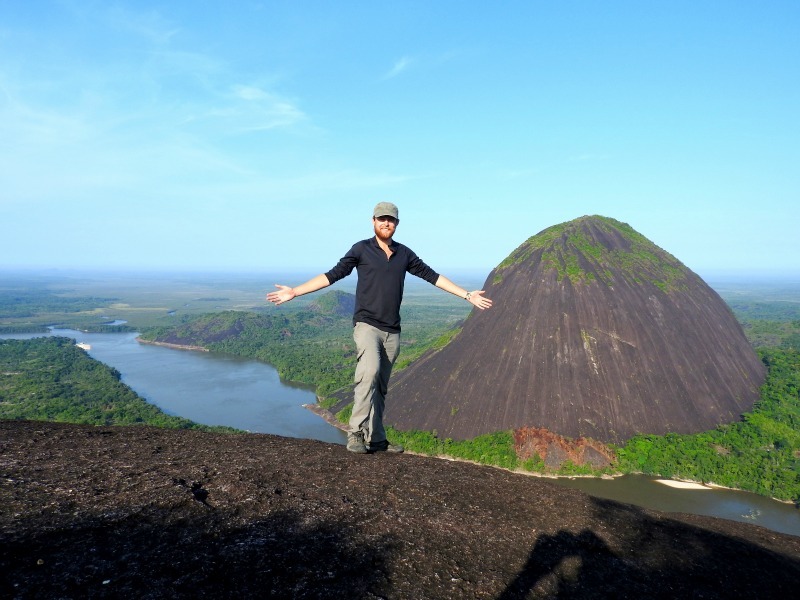 Thank you for all your wonderful entries Chris and for showing so many people what Colombia is all about. Your energy is contagious, good luck on your future adventures. So sorry to hear that you saying goodbye to this fantastic blog. 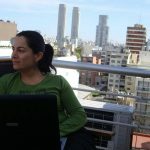 I really enjoyed reading your blogs on where to visit and aspects of Colombian culture and its people. 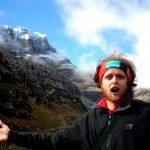 I have made two trips to Colombia in 2015 and 2016, each of approx 2 months, and each time based my trips very much on your recommendations on where to visit etc. Each trip was truly amazing. So thank you very much. As a result, I also have become (in a much smaller way) an ambassador for Colombia and have been successful in encouraging friends and acquaintances to go there. Every time I also showed them your blog before they went and everyone agreed it really helped them have an amazing experience. Good luck for the future. I will certainly follow your Facebook page and hurry up and get that book written! I am really looking forward to that. We are going to miss hearing your stories. Thank you for giving us your insight, your ideas and your experiences. Best of luck to you! Hi Chris, Grats on your moving on. It’s kind of a shame for me because I just ran across your blog last week (been thinking about moving to Medellin for awhile – in Panama now). By the time I decided to write you, you’d flown the coop, so I hope this gets passed on to you. If your new challenges don’t allow for your personal participation, then perhaps you could direct me to some trusted sources. I intend to rent a furnished apartment in Medellin for 6 months, get the lay of the land and do some serious Spanish studying. I am in my Mid 70s, but healthy (no meds, MDs or problemos). Tengo un gato. I live simply and, outside of the cat, own nothing. My Social is a little north of $1,000 per month. I have found a few districts that fit my budget (not Poblado). I’m not the savviest traveler ever and will need help initially with translation and learning where things are. Also, looking for an honest real estate agent, immigration attorney, etc. PS sorry, but I eschew FB, Instagram and all the others – e-mail, cell 507-6867-9888 and Skype 727-493-1990 (One Country plan for USA – local call from any US area code) are how I connect. Thanks for your comment. I can’t help you personally, but I would highly recommend Far International (https://www.farinternational.com/) – they are operated by a friend of mine and can help with all the real estate enquiries you might have. Good luck with Medellin, I’m sure you will have a fantastic experience. Cheers. The world is large and full of many adventures. Go find something new and meaningful :).